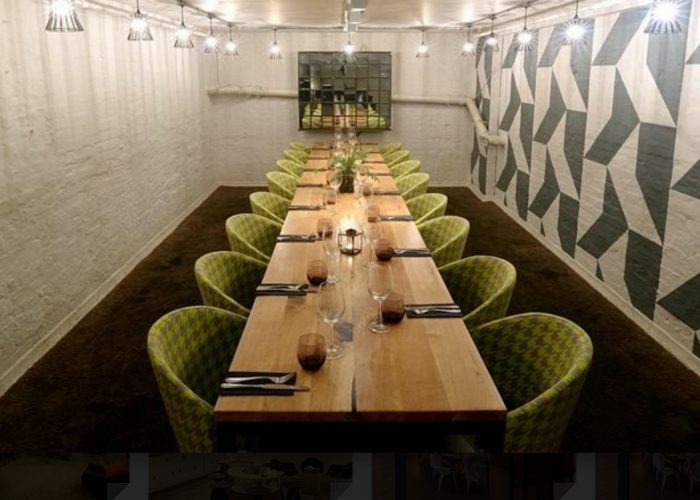 Private Dining Room at The Anthologist - 58 Gresham Street, London EC2V7BB. Thank you for your interest in The Anthologist! The Anthologist is the ideal place for all your drink and food needs, from breakfast meetings to client updates over lunch, after work drinks or dinner with friends. We have everything you need to pull off the most successful events, from versatile spaces to in-house AV equipment as well as wide selection of food and drink options. 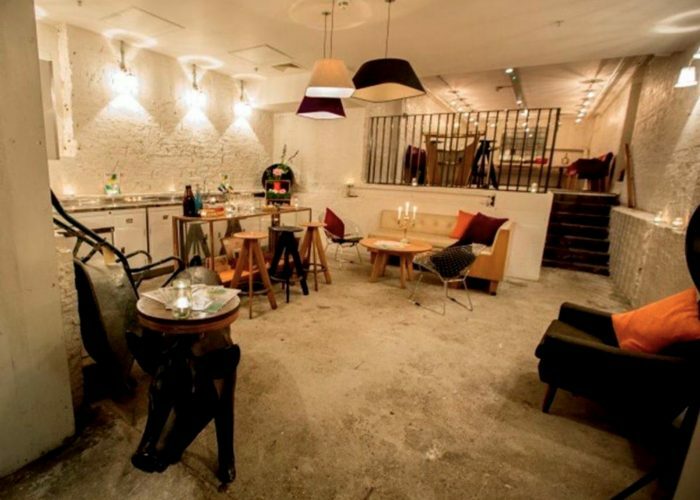 If you are looking for a more intimate space, take a look at our private room. 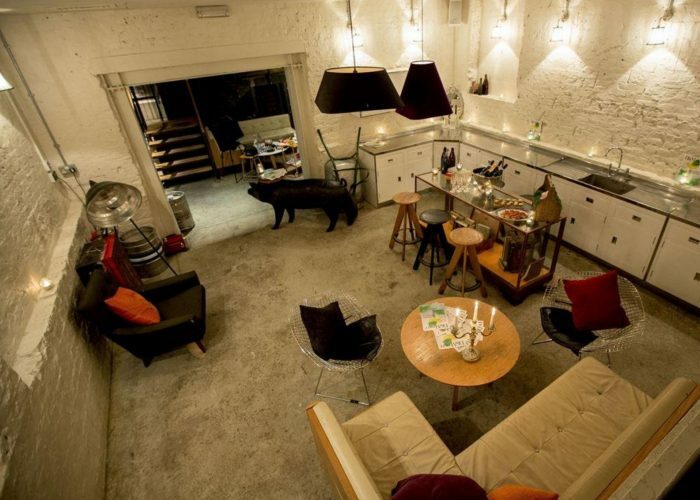 It comes with a 1950’s kitchen that doubles as a private bar. 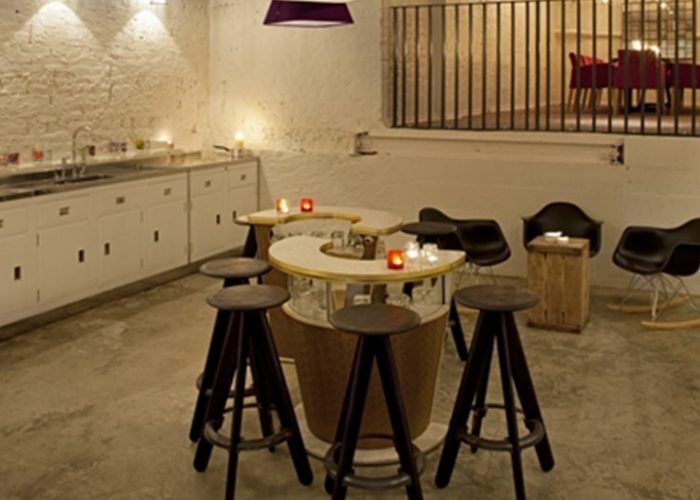 Organise any style of event for up to 80 people standing. 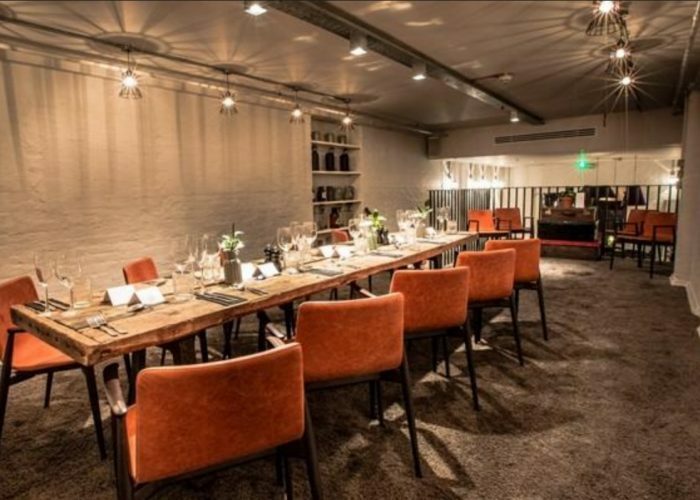 For a seated events we can seat up to 35 for a meal, up to 20 for board room style.